Our caring team of wellness professionals is here to support you. You may be able to use your Health Savings Account (HSA) for Naturally Unbridled Wellness LLC products and services. Contact your HSA service provider to see if you are eligible. Note: Appointment prices do not include remedies or supplements. Sit down with Patti Bartsch, MA, PhD to discuss your wellness goals and challenges. She wants to hear your story. What have you been through? What have you tried so far that hasn’t worked? What is it that you want to change? Patti will ask you about your water intake, diet, emotions, sleep, energy level and other areas of wellness. 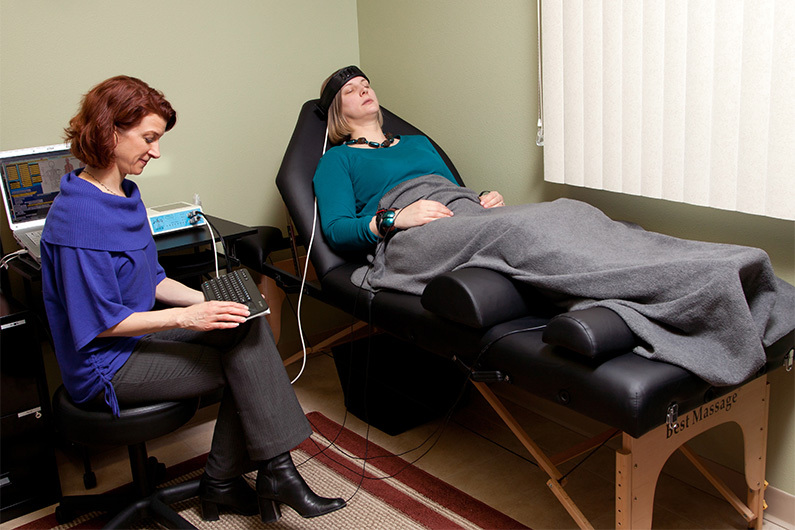 On-site clients will be introduced to biofeedback through a 120-point scan including a complete report. Depending on your case, you may be asked to complete additional assessments in order to dig deeper into what may be beneath the surface. Based on information from your intake form, our conversation, and any assessments, you will have several options to consider as part of your path to wellness. Whether you are looking for natural solutions for your symptoms or you want to do a comprehensive detox and wellness plan, Patti presents you with the options and the decisions are yours — it’s your body and your life. YOU are always empowered to make the choices about your wellness plan. Utilizing a non-invasive computerized tool called the Avatar we are able to tap into the body’s electrical system at specific meridian points to assess how the body’s energy is flowing. Much like Acupuncture taps into these meridians to release healing energy the computer reads the energetic impulses of points, primarily on the hand and foot, to help one to make healthful living decisions that are also therapeutic. The science of the Avatar, or more generally: a bioenergetic assessment, is based on an outgrowth of extensive research performed in Germany in the early 1950’s by Dr. Reinhold Voll, a medical doctor and acupuncturist. His research into the electromagnetic range of the body led him to note that a controlled, micro-electric current could provide feedback from the organs and different systems. Voll theorized that energy readings higher than normal signify the potential of an inflammatory condition and lower readings relate to degenerative tissue damage. Based on your assessment, a customized wellness program can be tailored to your specific needs and goals. 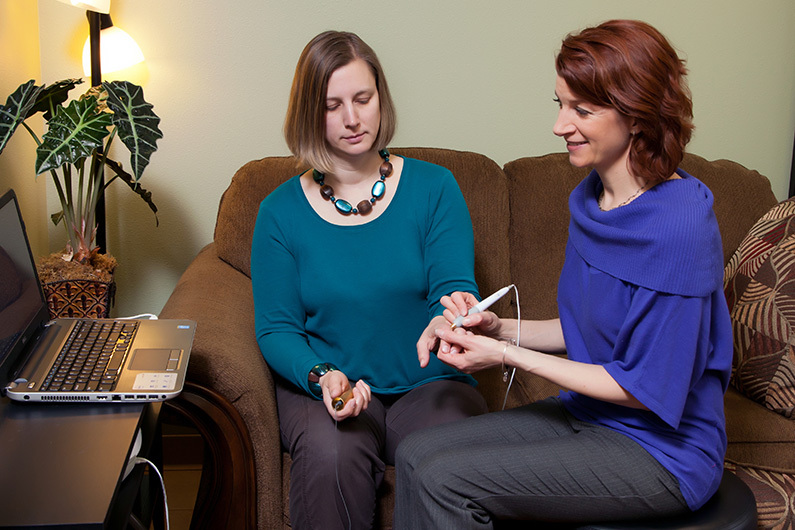 Learn about our bioenergetic assessment practitioner and the technology. Chair & Extremity PEMF therapy may be a good next step for some clients after they complete their three 1-hour Premium Pro Starter Pack sessions. Thermography is thermal (heat) photography that uses a highly sensitive camera and state of the art software to demonstrate areas of heat (inflammation) and cold (poor circulation). Thermography does not penetrate your body like X-rays do — it reads the infrared radiation your body emits and evaluates the parasympathetic nervous system via the skin blood flow. Thermography detects therma abnormalities before a symptom occurs. The thermal images are sent to a thermologist (a medical doctor with special training in interpreting the scans). The thermologist provides you with a report that highlight areas of concern. Themography can be used on every part of the body except the brain, because the skull is too thick for thermal imaging to penetrate. Many people use thermography to monitor progress in their healing process — whether it’s inflammation in your intestines or your elbow, thermography is a great tool to observe changes. Athletes often use thermography to track their progress healing from an injury. Thermography is also beneficial for tracking improvements when undergoing PEMF (pulsed electromagnetic field) therapy. Breast health is the most common reason people seek out thermography. When using thermography to monitor breast health there is a recommended schedule for best results. The recommended schedule consists of two initial appointments: first your initial breast scan, and second, approximately 3 months later, a baseline breast scan. The thermologist compares these two scans to determine your baseline thermal patterns and identify any changes between scans. If nothing concerning shows in the scans, annual scans are recommended. Save $50 with the Initial Breast Health Package. Includes Initial Breast Scan and Baseline Breast Scan. 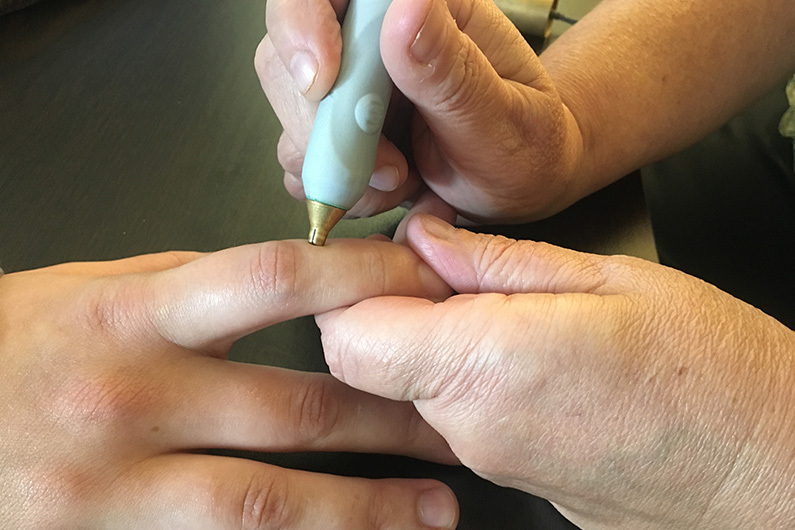 As an alternative to muscle testing, your practitioner will use a blunt probe connected to a bioenergetic assessment device, to assess the energy flow through acupuncture meridians to identify energetic stressors such as foods, chemicals, pathogens, toxins, emotions, etc. Once stressors are identified, we will energetically test for balancing remedies and supplements to provide you with a customized wellness program. Clinical experience has shown that most perceptions tend to remain static for significant periods of time. Because perception creates functional reality, this means you will repeat behaviors both good and bad, creating the same reality over and over. This can be a major barrier in every area of your life, including personal relationships, the achievement of goals, and even healing or recovering from illness and injury. EVOX Perception Reframing supports the subconscious in creating new thought patterns through biofeedback. A relaxing, non-drug therapy that detects imbalances in your energy field. Every cell, vitamin, and emotion has its own energetic frequency. Our biofeedback device asks over 12,000 energetic questions, receives answers from your energy field (similar to a lie detector), and when an imbalance is detected a harmonizing frequency is emitted helping to reduce stress at the molecular level. 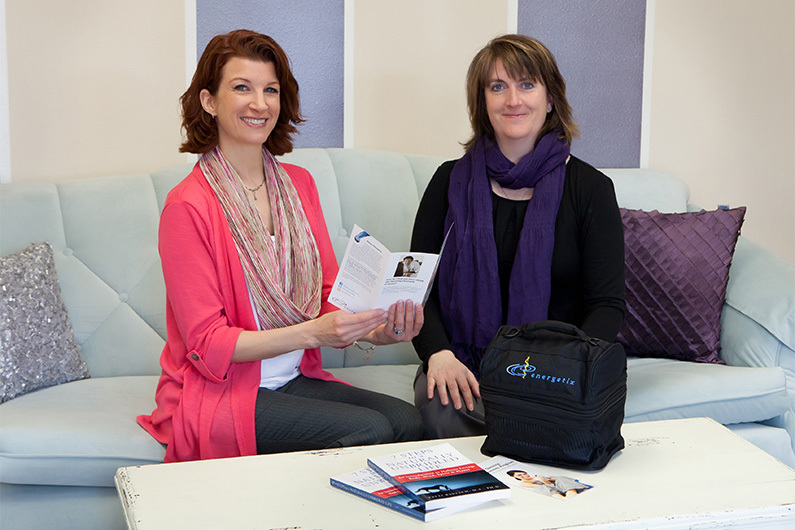 Check out our Biofeedback article for more information and success stories. Animal Homeopathy & Nutrition services are provided by Brenda Tobin, D.Vet.Hom, CN., a highly-credentialed veterinary homeopath (not a veterinarian) and animal nutrition expert. 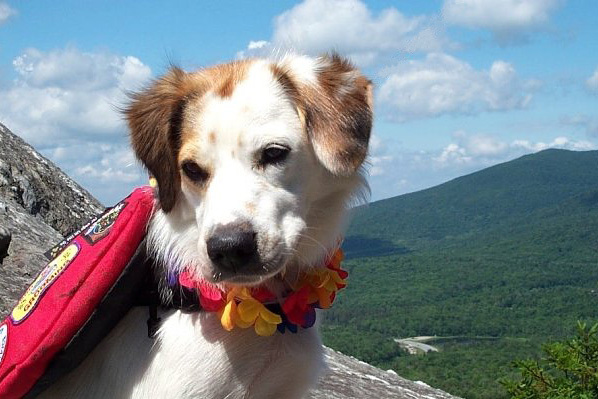 Brenda works with clients across the country to help their pets return to a state of homeostasis (total balance) through the use of homeopathic remedies and nutrition programs. As a constitutional homeopath, Brenda will conduct a comprehensive intake with you to learn all about your animal. The information you provide will elicit additional questions and discussion, enabling Brenda to identify which homeopathic remedy best aligns with your animal. 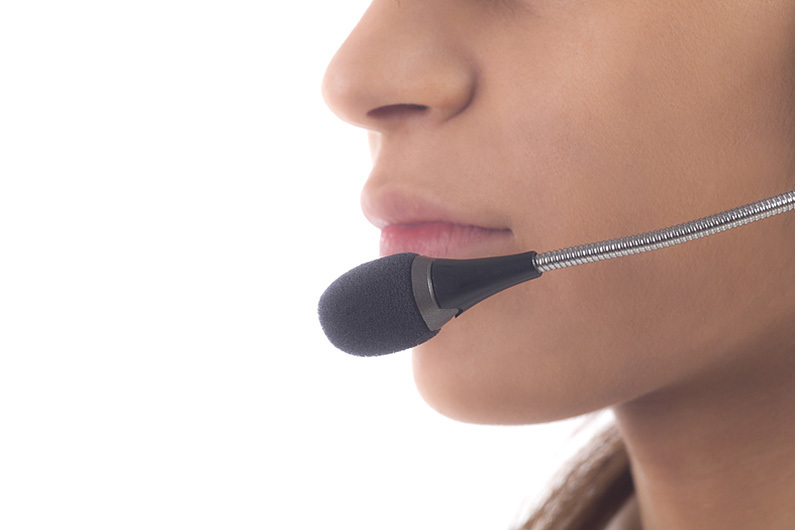 All consultations occur by phone or videoconference. Discover how Brenda can help your animal achieve optimal health. All appointments are by phone or videoconference. To hire Patti to speak to your organization, please call 608-799-8326 to set up a time to discuss your event. Visit our NUWs page for the latest upcoming events, workshops, and classes.